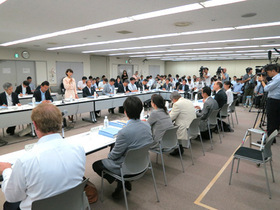 Minister Marukawa attended the 3rd advisors' council of the 'Visit! National Park' Project. Based on the discussion, they determined the strategy that eight selected national parks were ameliorated to be world-class attractive National Park. 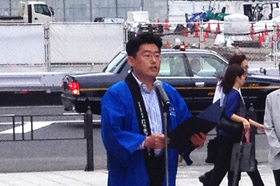 Mr. Oniki, Parliamentary Vice-Minister of the Environment joined 'the water sprinkling project 2016 at Daimaruyu area in Tokyo'. 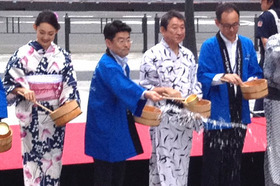 Uchimizu is the traditional practice in Japan to relieve the summer heat. Rainwater captured at the Tokyo International Forum was reused for the event. 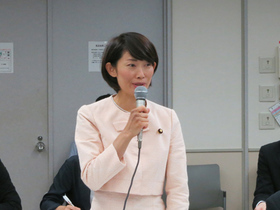 Parliamentary Vice-Minister Oniki gave an address. 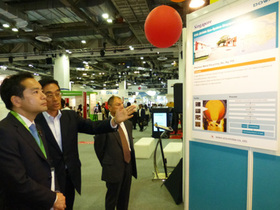 State Minister Shinji Inoue visited Singapore. 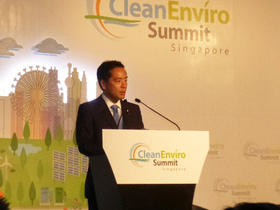 He attended the CleanEnviro Summit Singapore 2016 and had talks with Dr. Amy Khor, Senior Minister of State for the Environment and Water Resources and Mr. Maung Maung Soe, Mayor of Yangon city. 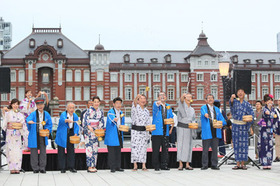 State Minister Shinji Inoue visited the exhibition.